After taking a locksmith correspondence course a year prior, Elaad started working in the lock and safe industry in 2004. He worked part time in a lock shop while attending college. He was employed at the lock shop for 2 years before graduating college with a Bachelors in Electrical Engineering from Polytech University in 2006. Soon after graduating he began an engineering job. 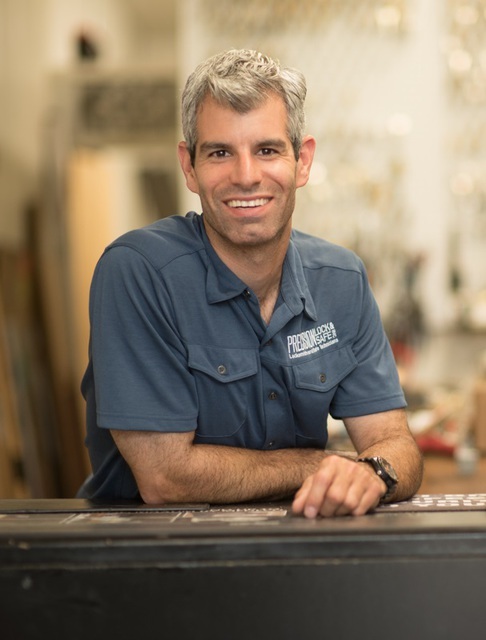 After a year and a half, he realized his passion was with locks and safes and desired to start a lock and safe company. In 2007, Precision Lock and Safe was founded. Since then, Elaad has received his Masters in Electrical Engineering in 2010 (also from Polytech University). He also regularly attends industry conventions and gatherings to take classes and earn certifications. In 2012, Elaad began teaching locksmiths and safe technicians at classes at both the national locksmith convention and the national safe technicians convention. The classes range from basic to advanced and are attended by technicians of all ages. Elaad has been in the news, both newspaper and TV for two high profile safe openings. He has also been interviewed by authors for his expertise and extensive knowledge of safe cracking, safe locks and safes. In addition to servicing the general public and commercial customers, Elaad also provides his technical expertise in the form of advice and services to other locksmiths in the industry. In his free time, he enjoys relaxing with friends and family, trying new foods, playing golf and surfing. If the weather is nice out and the surf is up, odds are you can find Elaad at the beach.